We’re urging smokers to sign up to Stoptober with friends, family and colleagues to boost their chances of quitting. Research shows smokers are 67% more likely to quit if their partner also stops smoking and 36% more likely to quit if a friend stops. 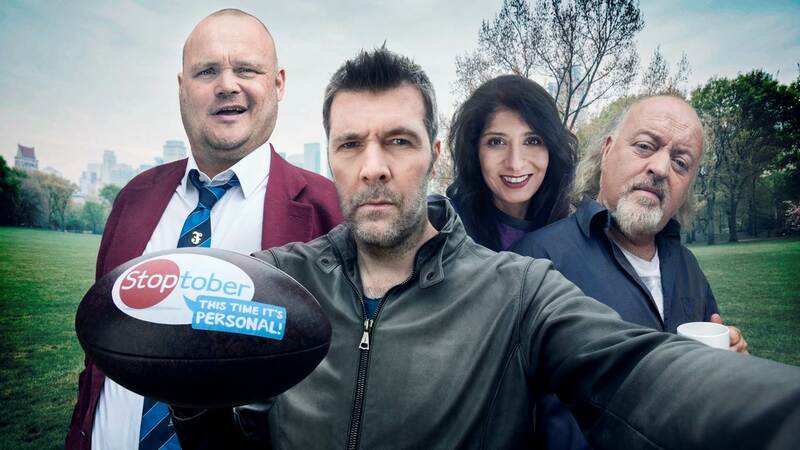 This year, Stoptober will be providing quitters with a personal touch from some of the nation’s leading comedians: Bill Bailey, Rhod Gilbert, Al Murray and Shappi Khorsandi. Messages of support and encouragement will be sent straight to quitters’ phones and emails throughout October. Sign up to Stoptober via the campaign website. Give your views on how the Public Health Outcomes Framework indicators can be improved. The consultation seeks views on whether government should remove, replace or revise the existing indicators in the framework. New whooping cough figures have prompted us to remind pregnant women to get immunised. Whooping cough is a serious bacterial infection of the lungs & airways but vaccination during pregnancy passes immunity to the baby providing protection in the first few weeks of life. This week the Mental Health Taskforce published its engagement report, highlighting what 20,000 people think the priorities for the country’s mental health are. The report underlines the importance of mental health nationally and the chance we now have to make a significant change within a generation. Encouragingly, one in four of the responses identified prevention as a key priority for action by 2020 and beyond. @ProfKevinFenton has blogged about prevention and mental health. PHE experts are taking part in a @WeNurses/@NHSIQ chat on 15 September at 8pm. High blood pressure is one of the biggest risk factors for premature death and disability in England – join us to discuss prevention, detection and management.